In classic circus fashion, Circus Contraption performances feature live, original music. 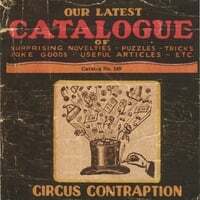 The Circus Contraption Band plays quirky-jerky loony-croony gypsy carnival opera music, both to accompany our full-circus shows and to aurally ambush patrons at finer musical establishments far and wide. You want us to describe what we sound like? Sometimes spooky, sometimes strange, sometimes raucous, and sometimes sweet. Imagine an off-kilter carousel accompanied by Halloween music gone wrong. At any given moment, you could hear accordion, banjo, clarinet, musical saw, trumpet, marimba, trombone, tuba, guitar, bass, theremin, 3 lead vocalists, washboard, violin, saxophone, drums, beer bottles, rusty junk and elbow grease. We have released five albums. Click the album covers below to get details, including links to audio samples! New, new, new! The soundtrack to our 2008-2009 show. A departure from Circus Contraption's usual turn-of-the-century fare, The SHOW to End All SHOWS imagines a family-owned circus with all of the glamour and glitz of the 70's and 80's. The time, however, is now, and the glamour shows signs of decay. This twisted take on Americana tells the story of the show that must go on, despite all evidence that the show, maybe even the world, will be extinguished before the closing act. Rather than featuring music from a particular circus show, this album sets the band loose to wreak its own havoc, with stellar results. Immerse yourself in tales of narcissistic crooners, lascivious hussies, Coney Island sideshows, and parading pink pachyderms. Lots of songs by Shmoozti on this one. 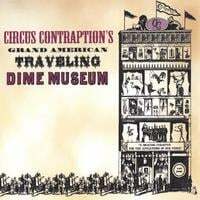 Filled with warped crooners, old-time piano, bombastic horns, and a beer bottle orchestra, Grand American Traveling Dime Museum evokes the sights and sounds of a dingy curiosity museum from the turn of the 20th century. Our third album delivers 75 minutes of music from the circus show of the same name. When the show debuted in 2004, it earned glowing praise and sellout crowds in Seattle and San Francisco. In 2005 and 2006, the show drew even bigger Seattle crowds and packed the house during summer runs in New York City. Drunken waltzes, blazing klezmer, and more! 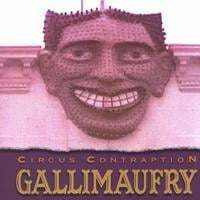 This EP contains music from our show, Gallimaufry, which toured throughout the western United States in 2002 and 2003. As a special bonus, this CD also includes a video of our acclaimed "Opera Diva" act, which won first place in the "Pizzazz!" talent show at Seattle's Bumbershoot Festival in 2003. Thanks to Jack Straw Foundation's Artist Support Program for making this CD possible. Our debut album! Lots of songs from our band-only shows, primarily featuring vocals by Armitage Shanks. Buy through CD Baby. You can order CDs online for fast delivery. They offer MP3 downloads if you need instant gratification. And if online shopping still makes you paranoid, you can even order by phone: 1-800-BUY-MY-CD. Visit a Seattle-area record store. Sonic Boom in Ballard usually has our albums in stock. Buy a digital copy. 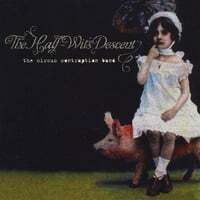 Our music can be found on CD Baby, iTunes, eMusic Rhapsody, Napster, and over 40 other online stores.